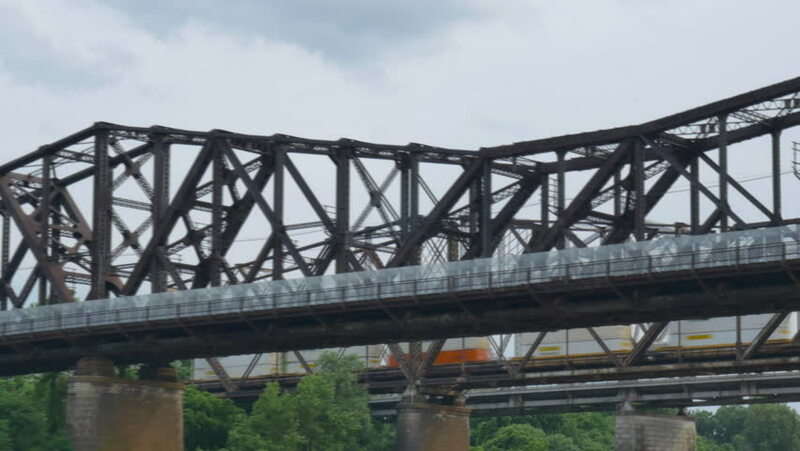 An awesome hyperlapse shot of three bridges in Memphis as the camera passes under and a train passes overhead with green foliage on the trees and an overcast sky in the HDR high latitude shot. hd00:26A train running along a crossover over the Tone River. 4k00:23Man explores the city of Portland, Oregon and takes pictures of a nearby bridge. hd00:38A train running along a crossover over the Tone River.